Although we are in dire need of snow, this record warm weather we are having sure does make me happy. At the same time my heart goes out to those who are suffering terrible winter conditions!! I'm sure they are wishing that they could send a little our way! You all know how much I love vintage and she is featuring me as Vintage Blog of the Week today. 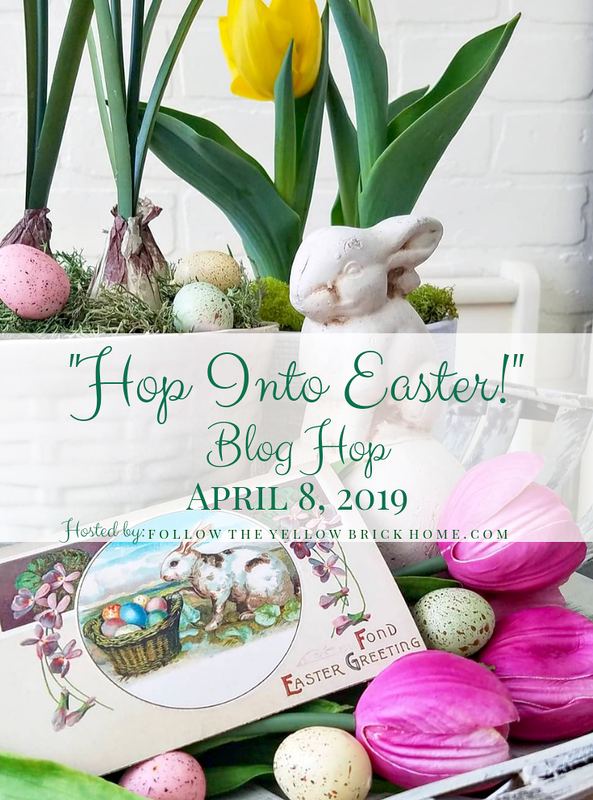 Please hop over and visit. I am thrilled!! 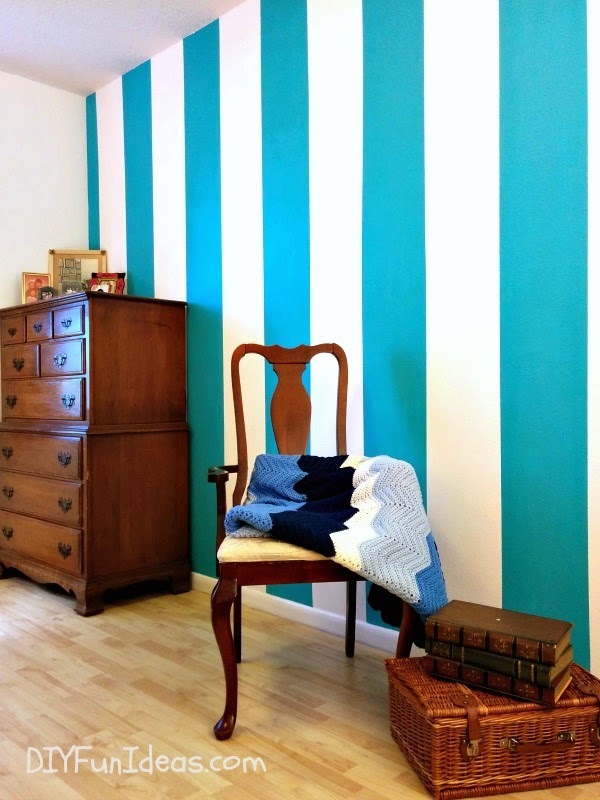 Jenise from DIY Fun Ideas shared some great tips on how to paint stripes on a wall. 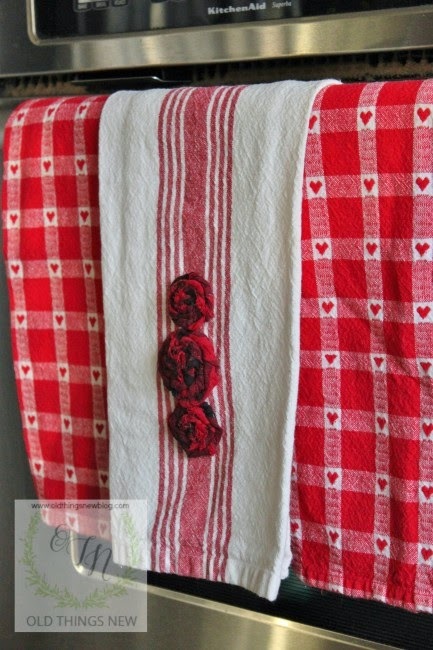 Patti from Old Things New took an old flannel shirt and made darling roses for a towel. Wilma from Shabby Royale created gorgeous hat boxes. Linda from Beautiful Ideas shared her beautiful apple blossom dishes. Alma from The Tablescaper shared her cabinet all decked out for Valentines. 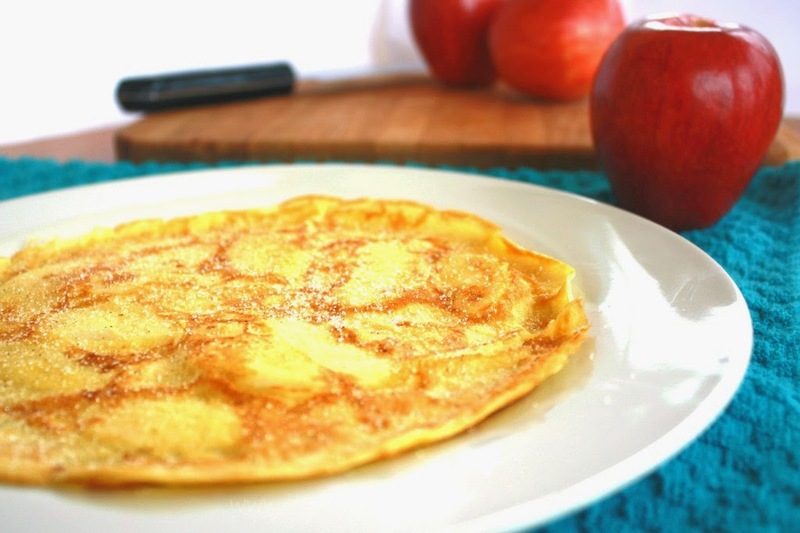 The Life Jolie shared the recipe for her Grandma Hinz apple pancakes. Don't forget to hop over to my fb page and see who has been featured there. We had some warm weather last week, and now we're having a storm. Well congratulations, Jann, on being featured. You deserve it! Thank you so much for hosting and I hope you get my message. My comments have been coming back as failures to my email. Jann, Congratulations for being featured! That is always a treat, isn't it? Thank you for hosting and have a lovely rest of the week. Hasn't this warm weather out west been crazy? I am sure it is about to change sooner or later! Thanks for the party! 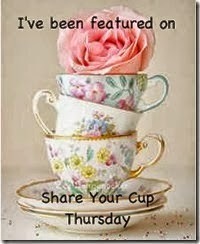 Thanks Jann for Share Your Cup Thursday 137. Very nice that you were featured as Vintage Blog of the Week. Congratulations. 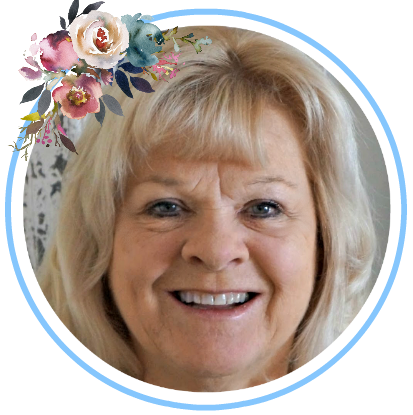 Great Vintage Blog Of The Week post on you, Jann. Thanks for being such a wonderful host. Hi Jann, first of all, congrats on the spotlight over at Diana's blog. I first met you through a feature on your gardening skills, and have followed you ever since. Thanks for hosting the party, and please send some spring our way - I want back out in my garden! Preferably without 10" of snow and frigid temps! Love the Apple Blossom dishes. Thank you so much for hosting. 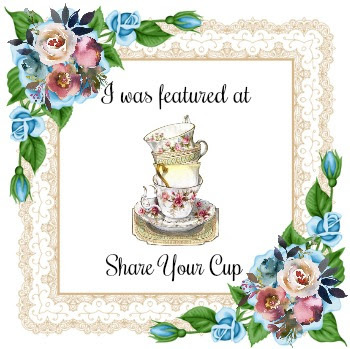 Congratulations on being chosen as Vintage Blog of the week. 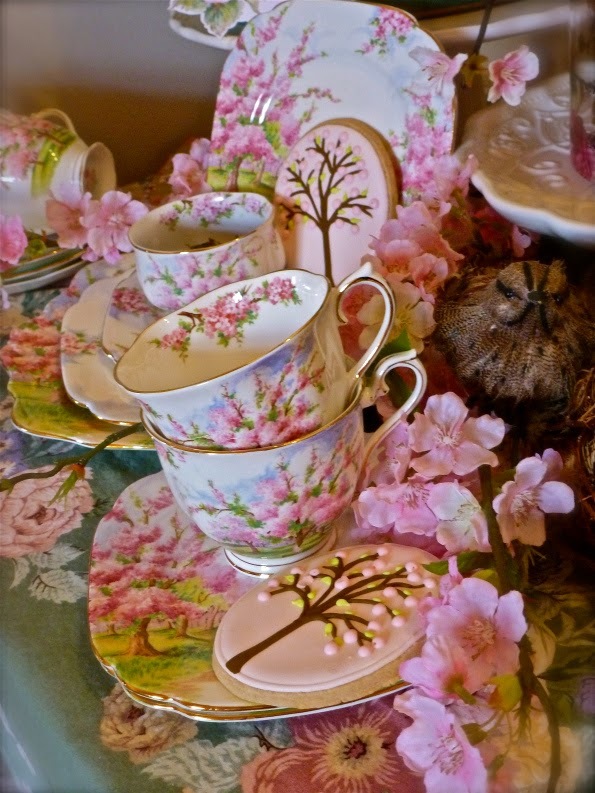 Ooh...I would love to have a cup of tea with Linda....the apple blossom china is gorgeous ! Thank so much for featuring my striped wall! Love all the features! How thrilling, Jan, for your feature. Congrats! Thanks for hosting every week. 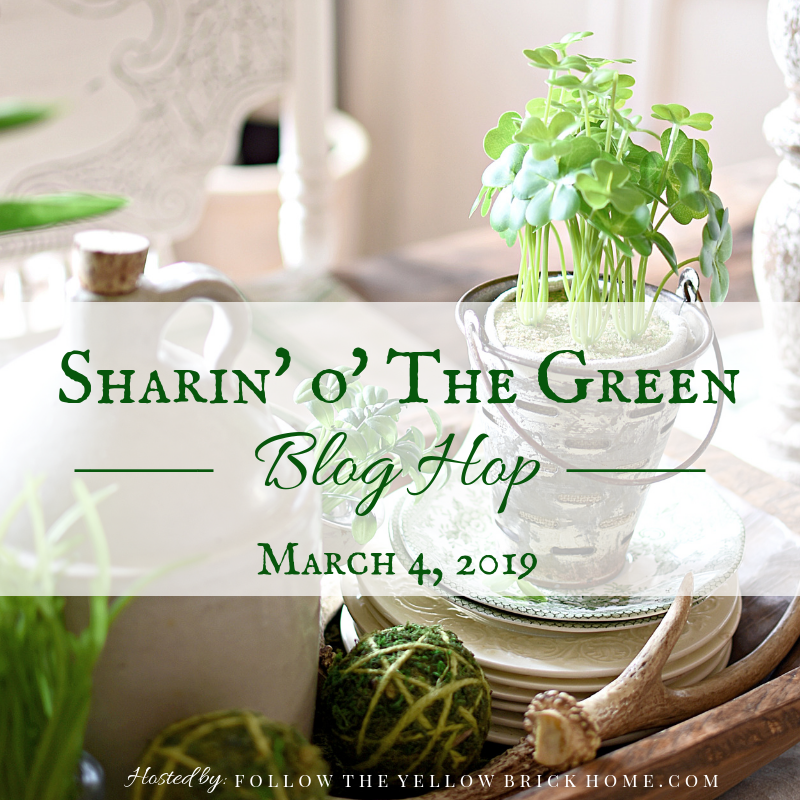 Sending my gratitude for including my post in this week's features! It's so very nice of you. I love all the features from last week. The first link from this week is the one that talks about gaining 5 minutes here and there. I could use 5 minutes. I love being part of what is shared here and, Jann, I especially appreciate that you acknowledge your participants. That takes some time. Hi Jann...LOVE the turquoise stripes and the Apple Blossom tea! Thanks so much for hosting and have a wonderful week! Thanks for the party and for hosting. A big congrats on being featured, it was a very nice write up. Hi Jann, Nice features! Thanks so much for the wonderful party! Congratulations on the feature. I'm off to go visit. Thanks for hosting each week! Beautiful pictures, wonderful compositions with beautiful details !! That rich omelette! 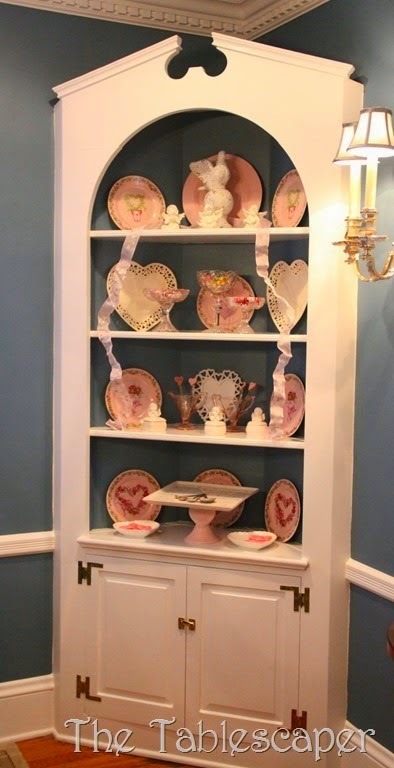 Thank you so much for featuring my Valentine Corner Cabinet! Love linking to your party. Thanks so much for the wonderful party Jann! Have a great day! Thank you for the party Jann, hope your week is going great! I got it right this time! Thanks Jann! Love all your goodies, as usual!! I need to be as on the ball as you are! I'm taking advantage of this extra warm weather we're having and I'm planting my spring AND Fall bulbs today...can you believe the luck? I didn't have time to get them in the ground in the fall, but this weather should work for them still! 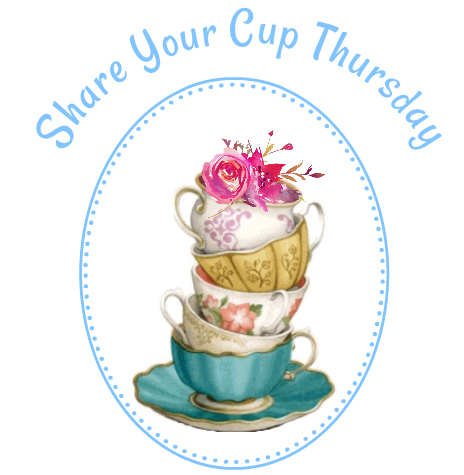 Happy Share Your Cup Day! Did I mention I LOVE your Spring green Tea? I wanted to crawl through the monitor and take a seat. Thanks for hosting it is ALWAYS a pleasure. Congrats on your feature, sweet Jann! Thank you for the great party too! Hello Jann, I want to thank you for your party this week! I will visit a few to see what is going on and enjoy all the great ideas! I am always so amazed at all the ideas and creative ways to do so many of them! Jann, I'm so behind in everything but wanted to pop in and say hello! Congratulations Jann! Diane over at Adirondack Girl at Heart is a sweetie! Thank you for hosting and I will hop over there to see what she wrote. Jann, what a lovely party filled with inspirational ideas. Thank you so much for hosting. Thank you so much for the feature ! Great to participate in your partie. Congratulations that you've been featured. Wonderful post and photo's ! !